As Western appeal toward visual novels, the traditionally Japanese genre of interactive electronic stories, continues to grow, so too do Western developers’ interests in bringing these kinds of games to their fans. 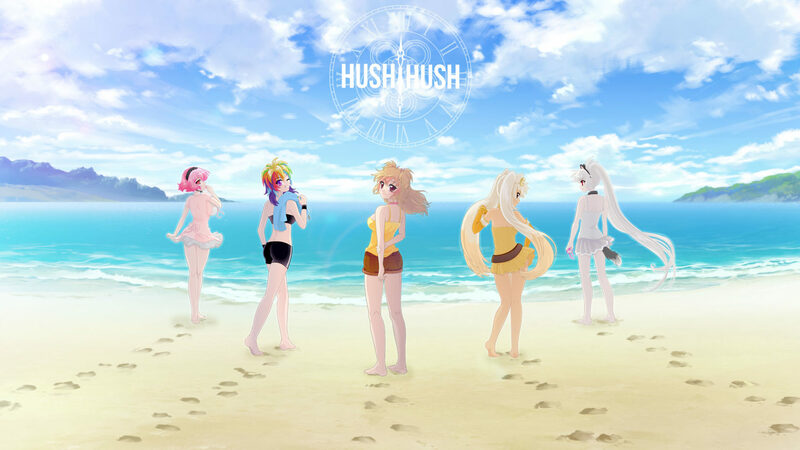 Canada-based Sad Panda Studios, creator of the popular visual novel Crush Crush, is currently raising funds via Kickstarter for the production of a “bigger, bolder, bustier!” follow-up game, Hush Hush. 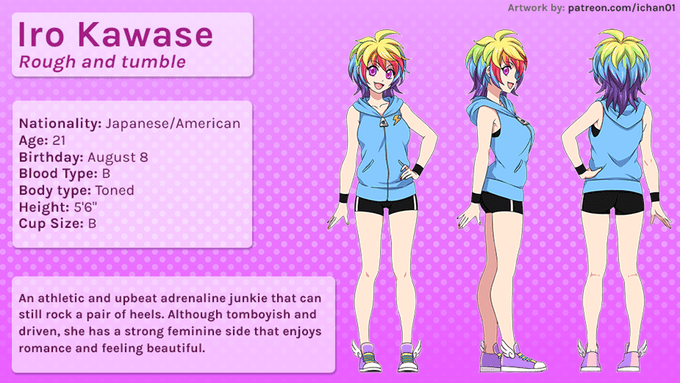 Crush Crush is an irreverent, popular-culture-riffing romp through the world of the dating sim, a visual-novel subcategory in which players spend time and resources raising their character’s stats in the hopes of drawing the interests of one or more (usually female) love interests. Hush Hush promises to be similar, with said love interests from the first game returning in response to audience demand. However, this story offers a chilling new twist: each of the girls harbors a dark secret that, according to the Kickstarter video, will prove fatal unless the player discovers and resolves them in 30 days of game time. And naturally, the only way to get these seemingly happy and well-intentioned girls to open up about their secrets is to grind the stats that will impress each of them and then manage to spend time with them, all while the clock slowly ticks toward catastrophe. It all sounds simple enough, but what strikes me as paradoxical about the scenario as presented is that dating sims by their very design require the player to devote the limited available game time toward a developing relationship with one girl—sometimes more than one, but almost certainly not the entire cast (contrary to what many anime adaptations of these games may suggest). This leads to the seeming inevitability that no matter what path one takes in Hush Hush, whichever girl(s) one chooses to court and woo, someone or other is probably going to meet a tragic end. This element of disaster is by no means foreign to the game’s intended audience; so-called “bad endings” are a mainstay in the genre. But what normally makes these endings so compelling is the fact that you can avoid them. The player can derive a sense of achievement from doing so, especially if they manage to reach the specific ending they desire without first tripping over one of the many decision points and taking an unfortunate tumble into the ending where they get killed by the girl they’re dating instead of marrying her. I suspect, therefore, that there may be a final “perfect ending” that can only be viewed once all other story paths have been completed—in which everyone is saved—but I cannot confirm that this is the case. Unlike Crush Crush, which was free to play, the more development-intensive Hush Hush will carry a $25 CAD price tag (roughly $20 USD) at launch, which is also the price of the Kickstarter pledge level that gets you the game upon release along with a digital soundtrack and some other bonus items. The campaign is doing very well so far, having reached its goal on day 3 and more than doubled its base funding level with a little over two weeks to go as of this article’s posting. The anticipated delivery date for the game is June 2018. I hope that Sad Panda’s success will encourage more visual novels from Western developers, especially indie teams who lack the capital of larger companies. While these games are not as sophisticated programming-wise as the top titles coming out of enterprises like Square Enix or EA, visual novels are nevertheless capable of delivering rich, emotion-driven storytelling, and crowdfunding platforms like Kickstarter make it less of a financial risk to design them.